Synopsis (via Goodreads): Gus lives in a big park in the middle of an even bigger city, and he spends his days with Ida. Ida is right there. Always. Ida, Always is inspired by a real bear friendship. Ida, Always left me a sobbing mess, and I struggled to finish the rest of the book. 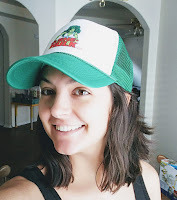 My kids were looking at me like I had two heads. The girls had no idea why I was crying, and my son kept asking me questions that only made me sob harder. This is a truly marvelous book about friendship and love. I think these two bears show us what it means to be selfless and how to mourn the loss of a loved one. Sometimes we need to roar and growl, and other times we need to cuddle and cry. Brilliant book! Synopsis (via Goodreads): Even a bookish big sister is drawn in by the promise of her imaginative sibling’s spectacular hideaway. 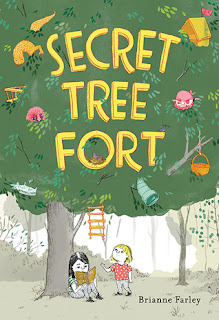 Secret Tree Fort was a wonderful book! I was able to relate to both sisters, and could understand both of their perspectives. One wants to sit beneath a tree and read (always me), but the other wants to play and use her imagination (sometimes me). The younger sister tries to invent off-the-wall, crazy, fun additions for her tree house, but nothing makes her sister look away from her book. The ideas just keep getting bigger and bigger until the older sister has no choice but to participate. It was a lovely story about siblings and compromise. Synopsis (via Goodreads): Late one winter night a little girl and her father go owling. The trees stand still as statues and the world is silent as a dream. Whoo-whoo-whoo, the father calls to the mysterious nighttime bird. Distinguished author Jane Yolen has created a gentle, poetic story that lovingly depicts the special companionship of a young child and her father as well as humankind's close relationship to the natural world. Wonderfully complemented by award-winning John Schoenherr's soft, exquisite watercolor illustrations, this is a verbal and visual treasure, perfect for reading aloud and sharing at bedtime. Owl Moon is one of our favorites! The author has clearly woven magic into the story, because its simplicity only makes it better. A young boy is going owling with his father for the first time. His siblings have shared their experiences, so he explains those tidbits of information, but it's an entirely new experience for him. It was surprising that a child his age new that he needed to be silent, but was also able to follow in his father's footsteps with barely a sound. It was cold and late, but the boy was determined to look for an owl with his father. Their story is told mostly through thought, and I enjoyed his childlike view of the world. There was so much wonder and excitement over just the potential of seeing a owl. 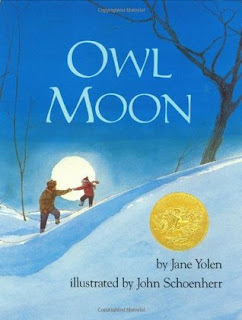 Owl Moon was exquisitely written and utterly compelling. Synopsis (via Goodreads): "It's a pillar," says one. "It's a fan," says another. One by one, the seven blind mice investigate the strange Something by the pond. And one by one, they come back with a different theory. It's only when the seventh mouse goes out-and explores the whole Something-that the mice see the whole truth. Based on a classic Indian tale, Ed Young's beautifully rendered version is a treasure to enjoy again and again. Seven Blind Mice is a really clever book, and my son enjoyed trying to solve the mystery along with the mice. Despite being blind, the mice choose to brave the unknown in order to determine what they've stumbled across. The mice all come back with different theories, but that's because each mouse only examined one part of the object. When the final mouse leaves to look for himself, he examines the thing as a whole. The mice were not able to discern what it was by only exploring pieces; they had to put all of those pieces together to see the bigger picture. I thought this was wonderfully written, and loved listening to my son's theories as each mouse came back with a different answer. 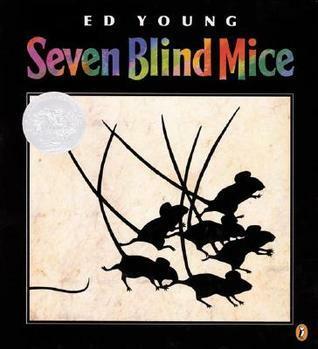 Seven Blind Mice sounds like a fun one, and great to get kids thinking. I'm pretty sure Ida, Always would make me cry too but it sounds so well done. All of these had wonderful stories! I think it's impossible not to cry while reading Ida, Always. I asked my husband to read it the other day (without warning him), and he even teared-up and had to clear his throat. It's a tough one! Seven Blind Mice was entertaining! They keep coming back and describing what they felt, which would prompt my son into making his own guesses. Now I'm so in love with the first cover, so sweet and pretty! These look really cute, and I've seen Owl Moon somewhere before andthought it looked and sounded awesome. It just looks like one of those books... and I've never been owling! Owl Moon is definitely one of those books! I've never been owling, but I also never lived anywhere that gets a lot of snow. I'm not sure if this same method would be applicable in the woods without it. But I have no idea! Maybe you can? I want snow!! My son has asked for it every year since he knew what it was, haha. We've lived in Texas and Georgia, so he hasn't seen much of it. We want to take a trip, maybe rent a cabin somewhere, but trips are exhausting. The little ones don't do well in the car for long trips (tried visiting family once and will never again attempt such a feat). Then there are the dogs... sooo much hassle with those guys. We eventually want to live in Oregon, so I'm sure we'll get snow there! I want to go owling! I don't know the specifics, just what the book tells me. Basically, you are super quiet as you trek through the woods, and you occasionally make owl noises (whatever those actually are). If you're lucky, and owl will respond to your calls, and then you shine a flashlight on it. It sort of freezes in place for a moment while you look at it before flying away. These sound like wonderful reads! I think Ida, Always would have me in tears too! They were lovely books! 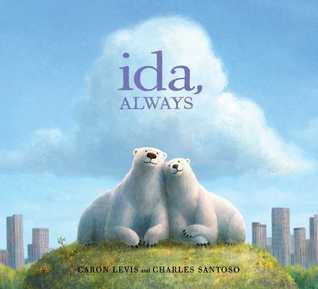 Ida, Always has forever broken my heart, but I think it's a good book for kids. It shows them how to handle the death of a loved one in a very positive way. I’ve read Ida, Always. Why are some picture books so devastating?! I also vaguely remember Owl Moon. I don’t remember if I read it or just looked at it. I know, right? The book is less than fifty pages, yet managed to completely destroy me. I think books like that are important for kids, but ugh. It was so hard to read without crying my eyes out. I felt so bad for Gus! I have a lot of favorites! It would be hard for me to choose just one. Have you read The Other Bears by Michael Thompson, Moon by Oliver Alison, A Day in the Life of Marlon Bundo, The Most Magnificent Thing by Ashley Spires, Rusty the Squeaky Robot by Neil Clark, Argyle Fox by Marie Letourneau, Secret Tree Fort by Brianne Farley (and the other two books from this post), Sam and Dave Did a Hole by Mac Barnett, Counting Crocodiles by Judy Sierra, The Runaway Bunny by Margaret Wise Brown, Library Lion by Michelle Knudsen, A Mother for Choco by Keiko Kasza, What Happened to Patrick's Dinosaurs by Carol Carrick, and Two Sticks by Orel Protopopescu (just to name a few). They were a wonderful batch of books!